The state engineer Wednesday reopened issues surrounding Southern Nevada Water Authority’s plan to tap into eastern Nevada’s groundwater and pipe it to Las Vegas. CARSON CITY — The state engineer on Wednesday reopened some issues surrounding Southern Nevada Water Authority’s plan to tap into eastern Nevada’s groundwater and pipe it to Las Vegas. After a two-hour status conference with about a dozen attorneys, the state engineer’s office ordered a new hearing on the authority’s monitoring, management and mitigation plans for four rural Nevada basins. The state engineer’s office will consider recalculating how much water the authority should be allowed to pump from Spring Valley. The water authority also must verify that the water it was granted from Cave, Dry Lake and Delamar valleys was not already appropriated to someone else in the basin downstream. The next hearing was set for late September or early October 2017. “I’m not anticipating three weeks of hearings. Maybe two weeks max,” said Susan Joseph-Taylor, deputy administrator of the Nevada Division of Water Resources and the hearing officer who has presided over the complex water rights case for years. In the meantime, lawyers representing the water authority, rural Nevada and Utah counties, American Indian tribes, the Church of Jesus Christ of Latter-day Saints, ranchers and conservationists will submit motions on who should be allowed to participate in the new proceedings, which existing documents should become part of the official record and whether written direct testimony from experts will be submitted beforehand. Wednesday’s status conference was the latest in a prolonged legal fight that dates back to the late 1980s. 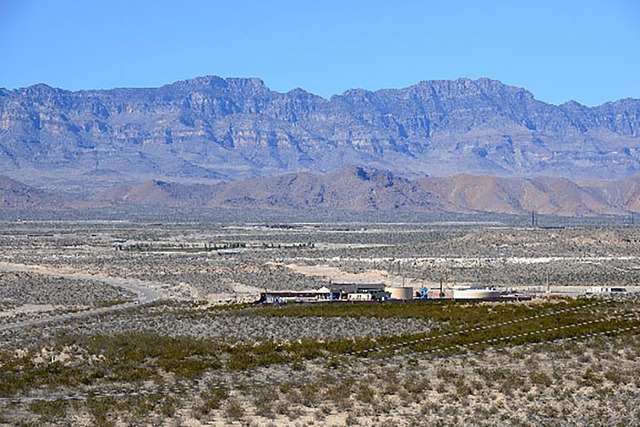 In March 2012, state engineer Jason King granted the water authority permission to pump up to 84,000 acre-feet of water a year from the rural valleys to supplement Las Vegas’ limited supply from Lake Mead. The water authority has proposed a 300-mile network of pumps and pipelines to deliver the water to Las Vegas, a project that could take a decade or more to build and cost upwards of $15 billion by the most recent estimates. Opponents sued, and in 2014 Senior District Judge Robert Estes ordered King to recalculate how much water should be allowed and develop detailed triggers for corrective action should large-scale pumping result in damage. The water authority appealed Estes’ decision. But last year, the Nevada Supreme Court ruled the issues were not ripe for consideration and refused to enter the case. Water authority attorney Paul Taggart said the agency disagrees with some of Estes’ findings and predicted the case will be back before the state’s high court after the next round of administrative and lower court proceedings. Not everyone favored a new round of hearings. The authority was granted permits for the rural water rights once before, but in 2010 the Nevada Supreme Court ruled the state engineer failed to act on the applications in a timely manner and ordered a new round of hearings. Many of those initial applications were filed decades before, and the court said people who were not part of the original case but have a stake in the outcome should be allowed to participate in the proceedings. After that decision, the state engineer held six weeks of hearing in late 2011 before granting the authority the permits now in question.